Winning the 2013 Indian Grand Prix gave Sebastian Vettel his fourth Formula 1 world championship title, something he celebrated with great gusto at the Buddh International Circuit. And while Vettel might have become the youngest four-time Formula 1 world champion, and also the first driver to win his first four titles consecutively, there were other four-time champions who came before him. For generations of Formula 1 fans, and racecar drivers too, Juan Manuel Fangio ranks as the greatest F1 driver ever. Fangio was known for his steely resolve behind the steering wheel and his total commitment to racing and racing well. The Argentine won a whopping five world championship titles back in the 1950s. And back in the Fifties, winning five championships was certainly no mean feat. How did Fangio win the first four of his five championships though? Well, back in 1951, when Fangio drove for Alfa Romeo, there was a battle that raged between him and a certain Alberto Ascari. It was fierce, but it was the Argentine that would emerge on top. 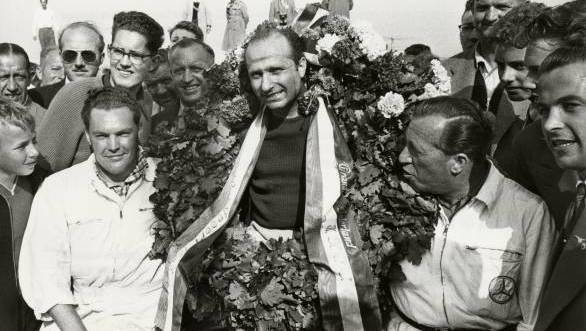 The next year would prove to be the most trying of all for Fangio as it very nearly seemed like his career as a racecar driver had ground to a halt. 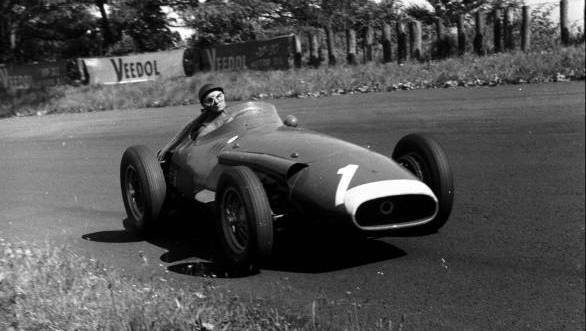 On his way to a non-championship F1 race during the 1952 season, Fangio ended up missing his flight, driving through the night instead to reach the race venue. Exhausted, the driver crashed during the race, was thrown out onto a grass bank, breaking his neck in the process. This meant he had to spend the rest of the 1952 season recuperating in Argentina. When he came back to Formula 1 the next year, he put up a stern fight for the title, although it was Ascari who took the championship once again, having already won the 1952 season as well. It was the next four years that would prove to be Fangio's finest in Formula 1. El Maestro came saw and conquered in each of the following years. The Fangio-Mercedes combination would drive to commanding championship victories in 1954 and 1955, while in 1956 he'd aid Ferrari to the title and win the championship for Maserati in 1957. It would be his fifth title, and his fourth on the trot. Juan Manuel Fangio - they certainly don't make 'em like him anymore. The Professor is a perfectly apt name for F1's thinking man's racer. Contrary to what a large faction of Formula 1 fans believe, there was more to Alain Prost than just his rivalry with Ayrton Senna. Prost was a methodical racer - meticulous in terms of the amount of preparation that went into each of his races. This, coupled with his on track prowess made him a force to reckon with in the Eighties Formula 1 scene. After narrowly missing out on the title in 1984, losing the championship to his McLaren team-mate Niki Lauda, Prost was a formidable driver in 1985. The Frenchman won five of the 16 races that season and finished 20 points ahead of nearest rival Michele Alboreto. It was in the 1986 season, though, that Prost's true character as the Professor came to light. When his car ran out of fuel at the San Marino Grand Prix, a race he looked set to cruise to victory at, he began weaving his car back and forth, ensuring every last drop of fuel in the tank made its way into the engine, thus ensuring that his car crossed the finish line in first. Later that season when he ran out of fuel at the German Grand Prix, Prost attempted to push his car over the finish line. He earned big respect from the cheering fans. 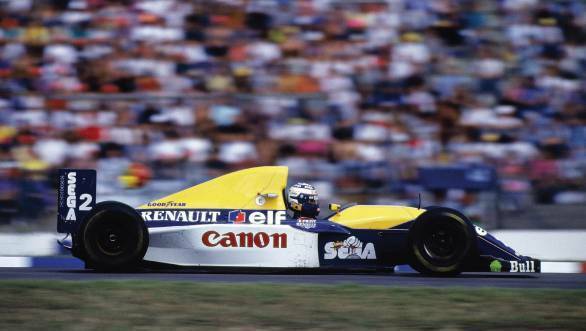 Going into the last race of the season at Australia, it looked like the championship title would go to Nigel Mansell. But Mansell's title hopes went bust when a tyre blew on his Williams. Mansell's team-mate, Nelson Piquet was also called in for a precautionary tyre, the title went right to Prost. He'd taken his second championship in a row. The years would pass before Prost took his third title, though, and it would come under extremely high pressure circumstances, on the back of that famed rivalry between him and then team-mate Ayrton Senna. His fourth world championship would come in 1993 for the Williams team, after he'd quit F1 in a huff, angry with Ferrari, and then made a return to the sport. His fourth title would be his last, and Prost would quit F1 at the end of the 1994 season. The comparisons between Michael Schumacher and Sebastian Vettel have been made time and again. Both German drivers from humble backgrounds. Both completely dominated their sport in their time. Well, Michael Schumacher's arrival on the Formula 1 scene, however, was probably under circumstances that were slightly more spectacular than Seb Vettel's. He came to Spa, qualified seventh for his first ever race for the Jordan team, was immediately spotted as one special driver, and snapped up by wily Flavio Briatore over at Benetton. But while controversy appears to have dogged Schumacher nearly every step of the way in his career, the same hasn't happened with Vettel. Schumi's first championship came to him under slightly dubious circumstances, when he drove his Benetton into the wall at East Terrace corner at Adelaide. Determined not to lose the championship, the German swerved back onto the track and into Damon Hill. 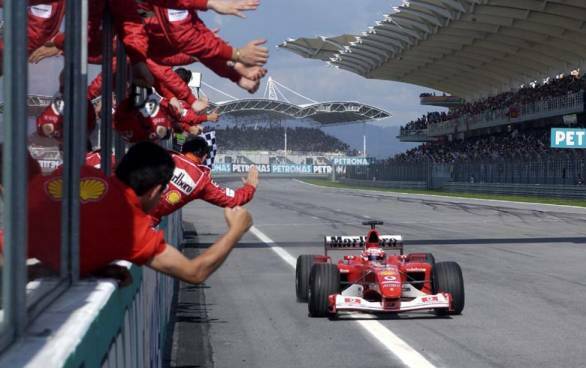 Both drivers retired from the race, and Schumacher was handed his first championship title, even while the world whispered that he'd deliberately crashed into Hill. Schumacher went on to win the title in 1995 as well, making it two in a row. The wait for his third championship, however, would be long. Schumacher would spend three years trying to galvanise the ailing Ferrari team, lose a title due to a misdemeanour at Jerez, and one more with a broken leg. He'd meet his most determined rival in the form of Mika Hakkinen and along the way make a name for himself as one of Formula 1's greats. His next title would come in 2000 for Ferrari. And then there'd be four more titles in succession. Michael Schumacher would statistically become Formula 1's greatest driver. And his, they say, are records that only Seb Vettel can break.